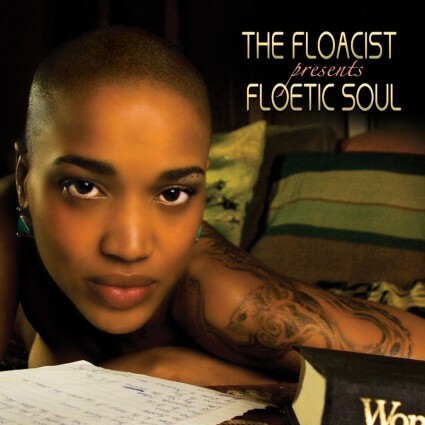 Our Conversation with Natalie “The Floacist” Stewart About “Floetic Soul”! In just a matter of time, former vocalist of hit R&B group, Floetry, Natalie “The Floacist” Stewart” breathes life once again into a rather attractive debut solo project, “Floetic Soul.” Terrill shared some quality time with The Floacist and discuss details into the making of the record, a genuine conversation about other topics, can ‘Floetry’ return together again down the road and much more!! TERRILL: Theurbanmusicscene.com is welcoming Mrs. Natalie (the Floacist) to the website today. We’re elated to have her in the house, what’s happening, the Floacist, what’s up girl? NATALIE: I feel perfect and wonderful, thank you for having me. TERRILL: Oh, absolutely. It’s actually a long time coming because we always wanted to have you and of course your counterpart from Floetry in the house, Marcia Ambrosius and it looks like both of you had gone on and working on separate projects. Yours of course with the Floetic Soul album that just was released yesterday. How do you feel about the album and how’s it going for you right now? NATALIE: Well we….yesterday Floetic Soul charted at number two on the R&B charts on iTunes. NATALIE: I’ll take that (laughter). NATALIE: I feel magical right now and it’s been twelve years that I’ve been progressing in this study of combining poetry in the music form and to hold the integrity of both and bring them together in a peaceful union and I’m over the moon right now. I’ve been doing this now for the past twelve years and I feel so blessed to continue to do it. The part where I walk my life works, you know to do this. So I feel great. TERRILL: The creation of many of the tracks on the album, it seems that each track has a lot of personal relation. A lot of emotional, a lot of experience, would you agree in the storyline for a lot of your thoughts? NATALIE: I agree – Yes. You know when I make music I read in my journal pages of this, you know. NATALIE: In a sense. Obviously embellished. I like to offer solutions, I don’t like to just offer problems. I like to offer ways out and I like to deal especially in my maturity now being able to create as a thirty year old artist rather, I was twenty one when I was with Floetry. It’s a lot of responsibility and that was a lot of growth and ability to grow and heal through responsibility. It is much a very personal record that has been molded a very transforming time in my life. These past four years has been identifying. TERRILL: You can tell just through the music itself and through the lyrics. A lot of this is coming directly from you and this is not no, you know paper cutting stuff here, this is the real deal. TERRILL: Well, In taking, for example, one of the tracks you have on the album that exploded out there, not so much the track, but also the video that came with it, your duet with Musiq Soulchild called, “Forever” I mean, what was the feeling and experience working with Musiq in the studio & the making for the video? NATALIE: …and few weeks later, but I suppose we both have enough love in our lives in actuality that we were able to do what needed to be done from where we are. Now the video was another thing and we all came together with Inga Martin and we just had such a lovely day. I mean the energy, this family thing that you can fall into. Habits that you excuse yourself for in this business. Whether it be just the thought that everything’s going to run over time, everything’s going to go the way it’s scheduled or you know this kind of lax space that we get into, that’s just how it is. You know what, we had a beautiful day. We got everything done completely on time. The energy of the day was just beautiful and I think that really comes through in the music video. TERRILL: Yes, definitely. You can feel the vibe in that whole video. And you know there’s one thing about the power of video, is to be able to project everything, especially in this music video, you get to project the true meaning of a song or the intention of the direction of the song and I tell you, I mean I know I’m not the only one who looks at that video and says wow. TERRILL: I mean you definitely glow! NATALIE: I wish I would have made that song three years ago, I would have walked down the isle to it myself. It’s such a union, a companionship song. The song’s all about the love that I’ve been so blessed. NATALIE: ‘When everything change’ is the first line & ‘I had you and the you that I have as my husband’. We started off as poets at the age of nineteen trying to figure out how to get this music poetry thing going and he has been dedicated to me and my walk and my prowess. When Floetry ended, people that I had linked myself to and offered myself to in such a way, changed and did different things. The constant in my life was my husband. So this song is about the support and the strength that love can give. There’s a lot of songs that are about the stress. NATALIE: …when two heads do better than one, you can take on everything. We can move together and you’re not as vulnerable because you have your reflection and you’re not seeking validation in the world – you have it, you know. NATALIE: Oh fabulous. Yes, ‘keep it going’ and you know I think there’s such a growth that can come when we become brave enough and mature enough to do what needs to be done in order to be companionable. NATALIE: In order to do that, and I’m not talking about making the wrong decisions with the wrong people, I’m talking about making the right decisions with the right people. NATALIE: Getting out of the way of yourself. Looking at you, not just what someone else needs to do in order for everything to be cool. What do you need to do? Why is your selfishness get in the way, where could you be more selfless and these type of things. And keep it going. Maybe the reason why the music is making statements like this is because everybody’s young and maybe not even as young in age, maybe young in experience. NATALIE: I have epic love in my life and I’ve chosen that. I’ve chosen that. I’ve chosen to walk and grow as one would have to and align oneself and be humbled by it. TERRILL: Right. Well the one beautiful thing about everyone going through journey’s, music’s been such an influence in helping people make decisions and choosing the right directions. I would have to go out on a limb and say that the majority of your music, if not all of your music on your debut album here, with Floetic Soul, touches on influence and it’s a very good positive, again reinforcement that you’re providing for listeners, as well as beautiful melodies, the harmonies, catchy, catchy lyrics. I mean very soft provoking elements of sound that I think the reader will enjoy for quite a long time. TERRILL: You also have Lalah Hathaway on the album as well. Lalah being a staple of R&B. How was it working with Lalah on the track? NATALIE: We’re talking about with Lalah – She’s a…her voice is a legacy voice. NATALIE: Her mood – Her Fathers’. She’s not out here just trying to sing all over the place, which is kind of proof point for everything, you know what I mean? This is, we’re talking about Lalah, we’re talking about a perfectionist and that’s exactly what Lalah Hathaway is. I mean you listen to her placement on this song. You listen to how she paints and decorates these moments. It’s a suggestion. she’s such an amazing, amazing songstress that when she, it’s not just what she sings, it’s when she doesn’t sing, too. NATALIE: That she can even… you can experience her silence. And there aren’t many vocalists that can do that, you know. I remember learning that in theater, can you be silent on the stage. NATALIE: You know can you play a lesser part well, you know. Or, or can you, does everything have to be you talking all the time, can you bring it in. NATALIE: And that’s what’s so amazing about this phenomenon Lalah Hathaway. Once again we weren’t actually in the same studio, but with all this technology, I think Lela had just come back from South Africa, hours in London, she just flown into LA. You know she gave me her down time, it was really her couple of days off between South Africa and going out to Japan I think and you know we got on the phone and just kind of went back and forth. I mean I just wanted her to do whatever she could hear. NATALIE: And that’s what she did, she did what she could hear and I was just, you know such a grown up song. NATALIE: …grown. Yeah, mature and sensual. That magnitude of the attraction, that define feminine fluncuality can give or promote, I love that song. TERRILL: …everyone wants to know after Marsha releases her album, she’s coming out with one very soon, correct? Your counterpart from Floetry? NATALIE: Well as far as I understand, Marsha and I aren’t in communication unfortunately but as far as I understand, she has an album coming out at the end of January. TERRILL: That’s what I believe, yes. So then the question would be, is there any chance in the future ever, that Floetry would ever come back? NATALIE: That’s an interesting one you know. I’ve been asked that and I understand why I’m asked that. For me, Floetry is something that was created outside of myself. It’s my baby. Therefore I have a kind of behind the scenes experience and I will say this: Floetry has no reason to end. It didn’t have to end. It was beautiful. NATALIE: Therefore the only reason it ended is because someone didn’t want to do it anymore. NATALIE: Marsha didn’t want to do it anymore and she wanted to make a different sound and wanted to become mainstream and management wanted Floetry to quote, you know we need to double down a bit, we need to push it over. To me, it doesn’t get more cross over and Floetry I think for Marsha was also a stepping stone to get where she wanted to be. 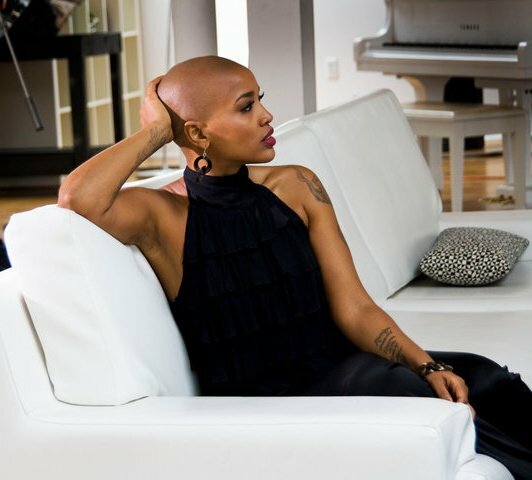 After March she released the album called “Neo Soul Is Dead – The Mixtape Release” and I think that really was very much her statement on to the world and I think she felt real and true to herself there. And myself, Floetry is all I’ve ever wanted to do and it’s my musical expression and so much later I still operate in a ‘Floetic’ now. NATALIE: And still create the Floetic music. So I say this with the utmost respect and understanding how important Floetry is for everybody and I also say this: I will continue to collaborate and I will continue to make music. Floetry will always, the doors for Floetry will always remain open to Marsha. To My Sister – they never closed. NATALIE: The sound…We, we could see that now. If you listen to Marsha basically its not the same…..
NATALIE: ….As, as what we were doing before. And I think that quite a few of us will know that …..through Floetry and that’s why she’s had to go where she has to say what it is that I suppose she wants to say. So we’d have to be doing the same thing. I am committed to my message. I wont come outside of giving people positive information and embellishment – it would have to be Floetic. TERRILL: I hear you. And I appreciate your thoughts about that and I’m sure your fans will appreciate that and we’ll just see how this goes down the line. For now, ‘Floetic Soul’s where it’s at. We look forward to seeing more good stuff coming from them and hopefully another video, too. TERRILL: And are you anticipating going on tour? Do you have any plans for a tour? NATALIE: Actually I am a performing artist. So me putting a album out is more so an invitation, you know. NATALIE: It’s the blend of lyrics, feel it and then come out and lets get on the road next year. I think towards the end of January, I will be doing an extensive US tour. I am also going to be coming to London for the rest of the year and I was going to Japan and Europe and then down to Africa. So it’s going to be a full year next year. And so the way to know what I’m doing is to get on Facebook, search THE Floacist or on my Twitter which is _floacist. That’s how you’ll know the dates, but I’m definitely going to be out, definitely. TERRILL: Sweet. Sweet. Definitely. And I look forward to seeing you, too. So when you come to Southern Cal, I’ll make sure and let you know I’ll be in the house, okay. TERRILL: I will be in the house. But I’m going to go ahead and say, first and foremost, we say thank you for spending the time with theurbanmusicscene.com and congratulations on your debut album. And again, it’s one of the finest soul albums for 2010. So we know it’s going to be a finishing touch for you and well, not finishing, but I’m sure there’s going to be a lot more coming. NATALIE: Well I appreciate it. Thank you. It’s been wonderful talking with you. You know we kind of had a conversation and I really do prefer that and appreciate it. TERRILL: Oh, absolutely. You’re genuine and God bless you and your whole staff. Hopefully they will take care of you on your travel. And before we go, I would like to ask you if there’s anything you’d like to share with our readers from the urbanmusicscene? NATALIE: Um, I would like to say to the readers, to my audience: I love you, miss you and this album was created for you by me. I feel like I know everybody by name. I don’t, but I can feel the connection. NATALIE: I started Floetry. It was genuine. I want it to go on and do that and share, so that’s what I’m doing. And it’s being done in such a offering and I felt my audience because through this journey, I have grown. And that’s where my thanks lie and that’s on this record. TERRILL: Awesome. Awesome. Well lets look forward to doing interview number two down the line, shall we? TERRILL: Right On! Have a beautiful day and thank you so much for your time and God bless girl. NATALIE: God bless you also and we’ll speak again. TERRILL: We’ll speak again. Talk to you soon. Bye-bye.